Congress chief spokesperson Randeep Surjewala said the Congress had stated earlier that the Rafale issue cannot be decided by the Supreme Court, and the alleged corruption in the defence contract can only be brought out by a JPC after examining the files and notings in the contract. 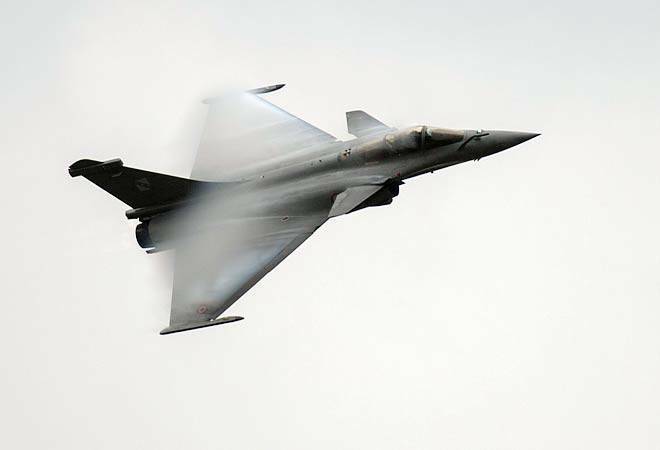 The Congress said today the Supreme Court has vindicated its stand that "corruption" in the Rafale fighter jet deal cannot be decided by it and challenged Prime Minister Narendra Modi and his government for a Joint Parliamentary Committee (JPC) probe into the deal. "The verdict of the Supreme Court is a validation of what the Congress party stated months ago that the Supreme Court is not the forum to decide such sensitive defence contracts," he told reporters. Surjewala said the only forum that can probe the corruption in the Rafale contract after examining the pricing process and sovereign guarantee is the JPC. "If they have nothing to hide, I challenge Modi ji and his government to submit to a JPC probe which will question and go into the corruption in the defence deal," he said. "We again challenge the prime minister for a JPC probe to unveil every layer of corruption in the deal," he said, alleging that corruption has been "guided by the highest echelons of power". The Congress leader also alleged that the government gave a "one-sided half-baked information to the Supreme Court which has not been scrutinised by anyone". Surjewala said the Congress has maintained from day-one that it wants a JPC probe and the government should agree to it if it has nothing to hide.